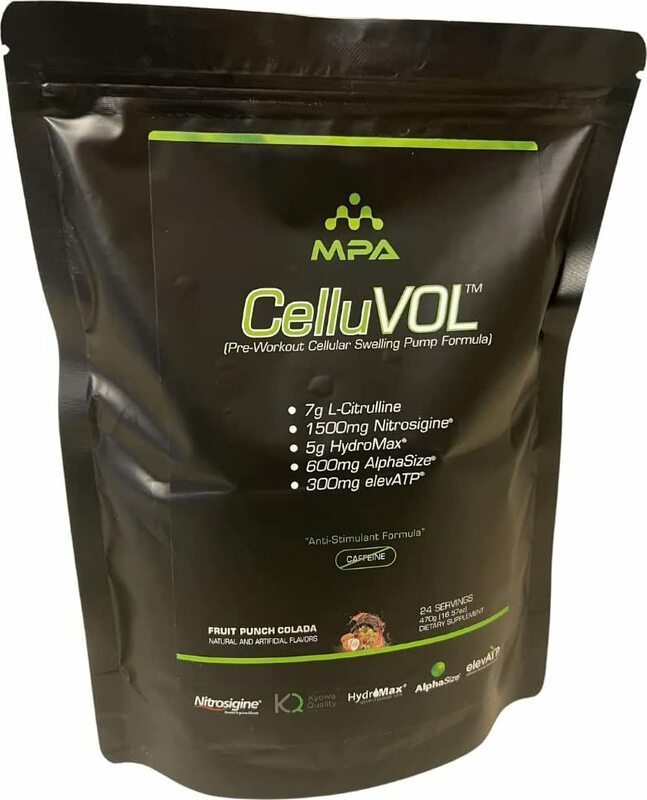 May 05, 2017 MPA Supps CelluVOL – Matt Porter’s Personal Pre Workout! Enhances Sarcoplasmic Muscle Volume! Highest Dosed PureL-Citrulline Pre-Workout Formula Available At 7 Grams! I must be honest, I was never a huge fan of stimulant based pre-workout formulas. It never computed in my head to ingest an inconvenient powder, where you have to add water, shake it up in a cup, then possibly have to tolerate a flavor that might not be good etc… when you could easily pop a few caffeine tabs and have the same effects, while saving time and money! This product is exactly what $50-$60 should get you -- a legit, nitric-oxide inducing, vasodilating, hyperemic, vein protruding, ?non-stimulant based ?Pre-Workout Formula. 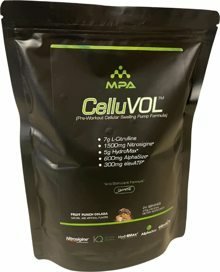 You will be taking MPA Celluvol 15-20 minutes prior to weight training. You will want your stomach to be relatively empty so the ingredients are not in competition with food for absorption. Once you start moving some weights around, you will understand how valuable Scientifically Dosed, high quality ingredients are as you explode with fullness and vascularity you never unveiled by the other vasoconstrictive (stimulant-based) pre-workout powders you used prior. As with all things MPA Supplements -- you get what you pay for and are not duped or fooled by cheaper ingredients. I would say 95% of all current pump products out there are using citrulline malate , which is l-citrulline bound to malic acid. They formulate this in a ?2:1 ratio, so when a product is listed at 6 g of citrulline malate -- you get only 4? grams of pure L-citrulline. I really have no interest in cheapening my formula by having malic acid taking away from my citrulline potency , when the L-citrulline is doing all the work regarding nitric oxide promotion, shifting high levels of arginine into the blood, and causing a fantastic pump. I am not sold on malic acid making a huge difference in enhancing absorption, as I have found research demonstrating bioavailability with pure L-citrulline to be sufficient. It means I am giving you the ?highest dosed pure L-citrulline product on the market at a whopping 7 grams per serving. Remember, this isn’t 7 grams of “citrulline malate” which will yield total lower citrulline content, this is 7 grams of vasodilating goodness fully transparent on the label!